Few writers can evoke such nightmarish visions as H. P. Lovecraft—and few of his stories are as chilling as these canonical tales of terror. At the Mountains of Madness: Lovecraft’s indisputable masterpiece. In the barren, windswept Antarctic, an expedition uncovers strange fossils . . . and mind-blasting terror. The Shunned House: Two men investigate the mystery of a sinister old house: the scene of unexplained deaths and weird apparitions. The Dreams in the Witch-House: In the crooked bedroom of an ancient abode, a mathematician’s feverish studies lead him to a dark discovery. The Statement of Randolph Carter: The lone survivor of an unspeakable incident, Randolph Carter relates his brush with the underworld. These milestones of the macabre will compel you to read on, even as you attempt to flee the waking nightmares they inspire. 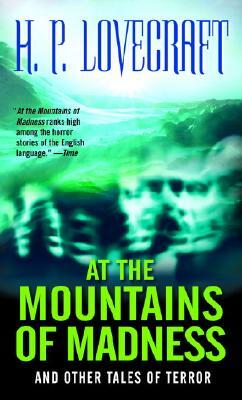 At the Mountains of Madness and Other Tales of Terror is a master class in supernatural terror.